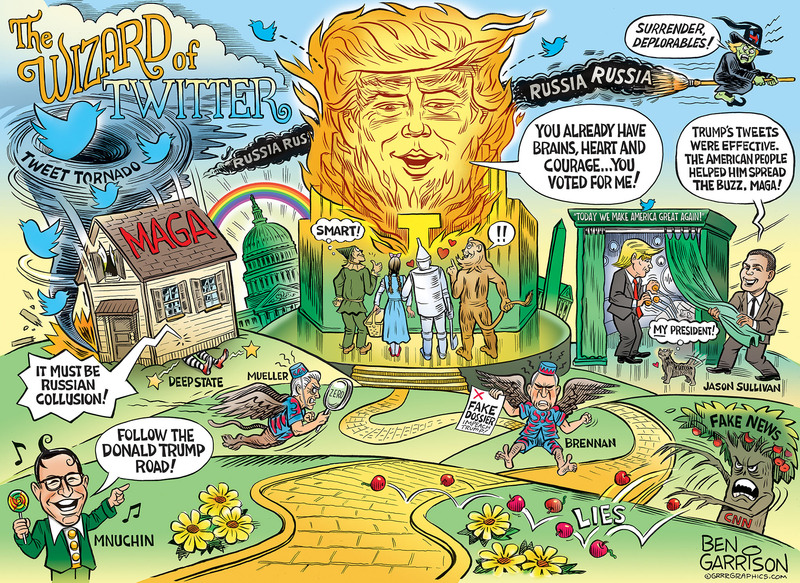 The benevolent Wizard of Twitter, President Trump, knew you already had the brains, heart, and courage to “Make America Great Again” by voting in Trump. The Deep State flying monkeys, Mueller and Brennan, shake their fists angrily as they probe into the Clinton fabricated “Russian Collusion” narrative and come up with zero evidence. Monkey Mueller is going after The Wizard’s social media consultant Jason Sullivan- who’s next? The lawn maintenance guy at the White House? 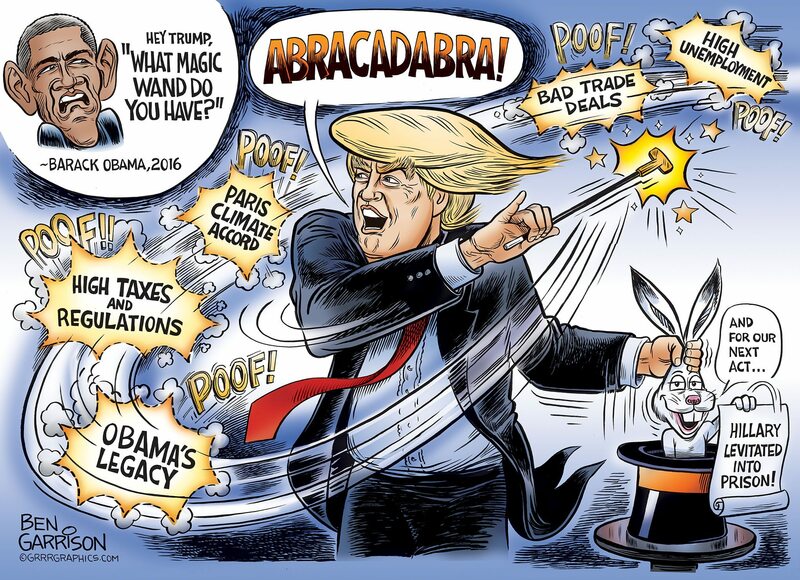 The Wizard has unmasked the tyranny of the spying and lying Obama administration. The Wicked Witch, Hillary Clinton, can only scream and blame everyone else for her abysmal failure in the 2016 election. The American people stood up together, and shouted out “Enough!” to the radical left and the greedy globalist elites. Trump has a “bucket of water” waiting for Hillary as the Russian Narrative “melts” around her! Follow the Donald Trump Road to MAGA, Jobs, Respect and the restoration of the American Dream for everyone. PS If I were you I would signup for GrrrNews- Save Bigly- Trust me! 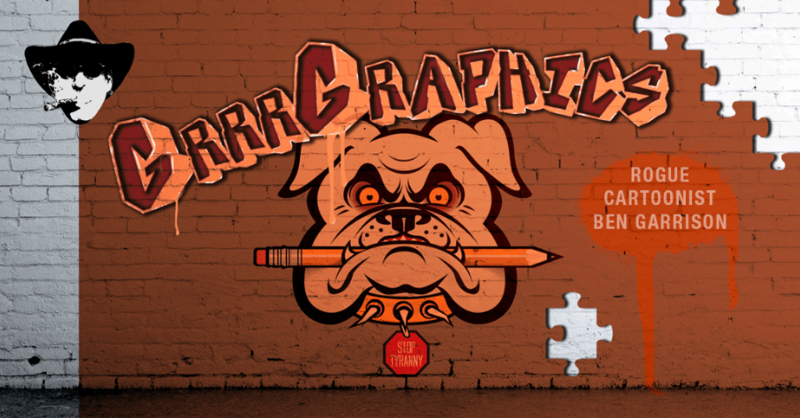 Sign up for the GrrrGraphics Newsletter today- Exclusive Savings and News Updates! Buy a Print- Melt a Wicked Witch! A Great Team! 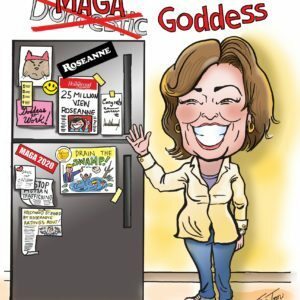 MAGA Cartoons and your support-Together we are unstoppable! 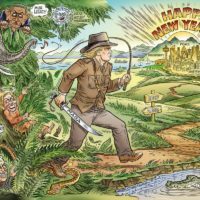 Help us unleash Cartoon Hell on the Deep State Swamp- More Hillary missing a shoe? Make it happen with a one time donation and help “Make Cartoons Great Again”. Thank you.